Welcome back to another episode. Today, we're going to be down the rabbit hole of understanding our beliefs, our beliefs create our reality and how to change our general beliefs about reality itself. This goes beyond just the intellectual ideas of understanding like sometimes we get too specific or like what I want to change my beliefs around a relationship. I want to change my beliefs around money. 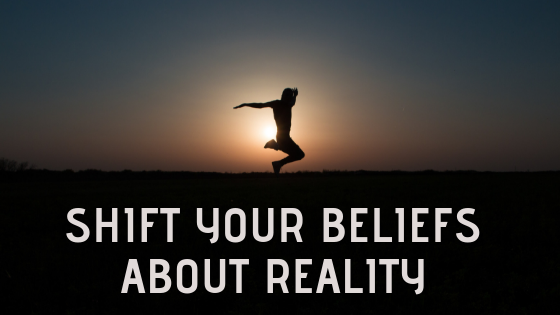 I want to change my beliefs around health, but what are your beliefs about reality? 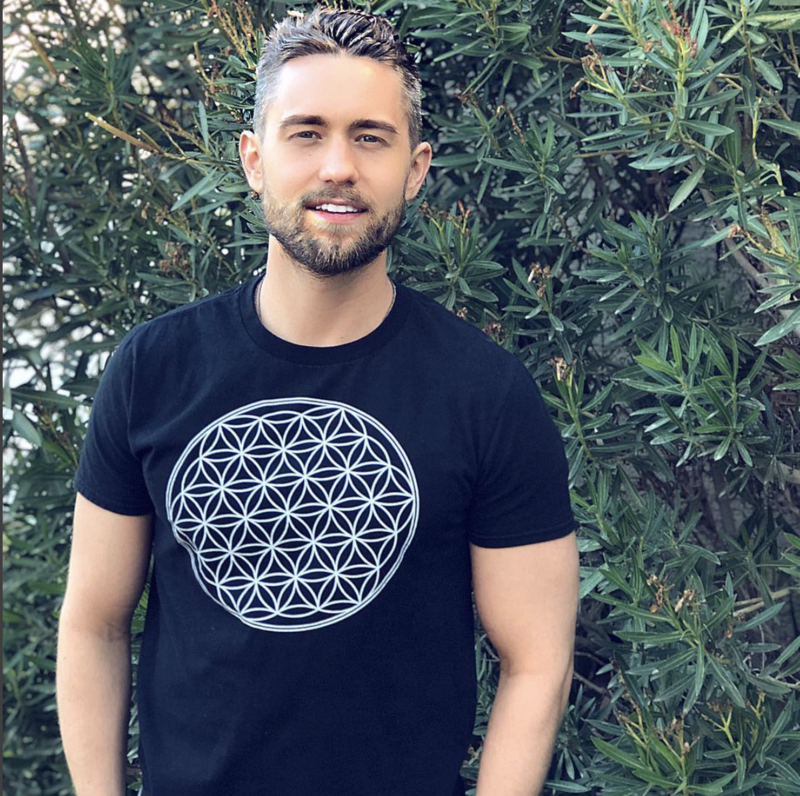 Because when you get to your beliefs about reality, you see that then you change and you get deeper and it's a lot easier too because you may change your beliefs about relationships, but if you think that things come hard in your life in general, it may be something that you're attracting. A relationship might have to become hard because it has to reaffirm the general belief that you have. There's almost these trickling down beliefs that we have that create our reality. We have more specific beliefs on one side and then we have more of the more general beliefs on the other side and if you believe in general that life is hard, that things don't come easier than in general. Your life will be hard and things won't come easily. One of the things I'm doing with this video is I am putting your awareness on what do you believe to be true because whatever you believe to be true is reflected back to you. We have these general beliefs about reality and then we also have these more specific beliefs about things like relationships, what it's like to attract relationships or money or whatever it is. Find your general beliefs first because when you find your general beliefs, what you end up doing is you end up becoming aware of how you can let go of the things that no longer serve you from a more general perspective, from a more general point of view. And is it something that I'm realizing, and I'll tell you right now that I was in Costa Rica the last week and it was amazing and it was a lot of fun. I was a five year two, I was one of five YouTubers. They're at this place. There was a whole bunch of people that think very similarly and stuff which was really cool. And one of my good friends was there, her name is Leoor Alexandra, you may know who she is and one of the nights she had a very deep experience while on the plant and medicine. And she went very deep into her own consciousness and she was shown. And basically, what happened is the plant medicine, Iowaska, whatever you want to call her, said and pretty much showed her and showed her general beliefs about reality. And in a way kind of showed her that what you believe to be true about reality isn't actually the way reality works. And what that did is that kind of shook up her belief system. And what I told her afterward, I was like, this is so powerful, because when you think reality just simply is the way it is, when you think that reality is set, it is just the way it is and things will never change. Then what happens if things don't ever change things or rigid things can change because it, in order for things to change, you have actually to change something that's solid. What we become aware of is that things are much more flexible. The more you realize that life is a dream, the more dreamlike your life will become. One of my quotes recently is that the more you realize that life is a dream, the more dreamlike your life will become. When you become aware of that, what you then begin to do as you begin to dismantle the old beliefs, the old beliefs that appear, that makes things very hard and very rigid, and simply knowing that that things aren't the way you think that they primarily were or are you already begin to dismantle the old ways of being. You begin to realize that then life can become more dreamlike. And one of the things that I think is happening right now on the planet is more people are becoming aware that life is a form of a dream. And let's talk about that for a minute. Life is a form of dream. What does that mean? Well, what I'm basically saying when I say that life is a form of dream. What I'm saying when I say that is that who we think we are is we perceive reality through the five senses, but in actuality, we're so much more than that. That's just a. that's just an experience that we're having at a greater consciousness point of view. We exist in higher states of consciousness and because of that, what ends up happening is we go through our life experiences. We think that everything is real. This is real. When we go to bed at night, we go to sleep. We wake up in these higher states of consciousness. We might not completely remember it. We might actually get that of subconscious dreams and dreams that we don't really understand because that's our brain's interpretation of understanding something that's beyond its current reference point. But what happens is at night time, you wake up to these higher states of consciousness you might not remember, it might not be as relevant for you to remember. Imagine you remember that in higher states of consciousness, you exist in unconditional love and bliss, and then you woke up here and there are all these solid kinds of stuff and there's these people that you know that that maybe make you feel bad or all of these different things. It wouldn't be so relevant. When you come in, you wake up, there's this veil of forgetfulness. You don't remember all that stuff. You just remember that my name is Aaron and this is who I am and I interpret reality through the five senses. But in actuality, there's so much more going on at play. And when you start to expand your consciousness, you start to see that you don't just see it. It's not something you just intellectually think about. You know, like a bit that I'm as intellectual as spirits have been. You've actually started to feel it. You start to feel that you are more than your physical body. You start to realize that you are more than just the sense perceptions you have. You remember that part in Neo, that part in Matrix where Neo is being told by Morpheus. He's like, what do you, what is real? What do you think is real, is just vibrational interpretations of reality through your five senses and the same way that is kind of what the movie, the Matrix was in a way a form of a documentary? Like, of course, I wasn't like neo in the matrix and his machines that come out. I mean there's a, there's the action part of that movie. But in actuality what kind of scared me. I'm looking at myself in the camera and I was moving the chair back and forth and the kind of scary there for a second. It was like, what is that behind me when it comes to that of the, of the Matrix. Understand that when you become aware that life is more than your five senses. And we know that too. Because like for example, if there's a dog whistle and you don't hear the sound of a dog whistle because of the decibel range that it is, do we assume that the dog whistle just doesn't exist? Or do we acknowledge that the dog whistle does exist? That maybe dogs can hear it but we can hear it, but that doesn't mean that it's not there in the same way. There is a reality that is beyond our five senses that when we begin to tap into the potential of it, we start to perceive higher states of consciousness. We're going beyond the reality that is encapsulated with the five-sense perception. It's about awareness that there's just more to us than just our five senses. There is more to us than this. What we perceive. We can only see between that if infrared and ultraviolet, but we say, oh, well there's the only colors that exist. Dentist realities, all that air there are ever is there ever will be, but in actuality, I think that there's so much more going on at play. I think that around us right now, there are just certain things that are visible. I think thoughts also are things they're not visible. Not all thoughts are visible. They've become visible when we manifest them, but in general, I think that our thoughts when we think thoughts that are electromagnetic energy and I think also there's this grid around the planet. There's a collective consciousness grid around the planet and as we think and feel a certain way, we're adding to that collective grid and the direction that timeline that us as a collective go on will depend upon how we feed collectively this grid and it's an interesting idea, but a lot of times we think we're having our own thoughts and you may say, well, I'm having my own thoughts right now, but in actuality they may also be the thoughts of a whole bunch of other people that are around. You may think and go to a sports game and be like, yes, I want this team to win and maybe you do want that team to win. I'm not saying you don't, but what I'm saying is that energy, when you go to a game, there's an energy there that you feel and some people will get high on that energy. It feels really good, but that's because there's a condensed amount of thought energy that is there. There's a condensed amount of electromagnetic energy thoughts that you're aligning with that's causing you to feel that way. What I'm saying is there's more than a play than just our five senses. There's more than at play than just what we perceive through our five senses and when we become aware and we just acknowledged that we start to break upon our beliefs that what we believe to be true is just what's experience through our five senses. We already know that the x-ray machine, not like x-Ray Vision doesn't exist because we can't see with our eyes. You know there's an x-ray machine that can show that perspective in the same way. There may be perspectives that we're not aware of because we're only focused on the physical type aspect of what we're experiencing in our life. In general, what I am intending to show you today is that you can begin to break up your beliefs. You can break up your beliefs about how reality works. The more solid that you think reality is, the more solid your raw reality will be and the less changeable it is. If you want to make your reality more changeable, are more malleable, all you really have to do is you have to first off realize that the reality that you experience is through your five senses. But that's not all that exists. Like I was saying, it's not because you don't hear a dog whistle. It doesn't mean the dog whistle frequency of that decibel range doesn't exist. I'll because we can see between ultraviolet and infrared doesn't mean that anything outside of that spectrum doesn't exist. It means that that's what our five senses are perceived to experience. And when you, when you realize that that's when you begin to expand your awareness to see that there's much more to life than just what we experienced through the senses, it starts to break down those beliefs of reference experiences, those beliefs of past experience, the beliefs of what we've experienced in the past, thinking that's all there is. And in order to really experience more in your life, what you have to be able to do is to go beyond the current sense perceptions that you've had. For example, if you've only been feeling that of shame, fear, guilt, anger, and you want to go beyond that, you have to acknowledge first off that that's not all there is. You have to be aware that maybe that's a perspective that you have maybe an auto "thought", thought loop that you have. And what you then begin to do is you begin to release that and as you release that, you can then let it go and then you begin to raise your vibration. That’s part of this process is just the awareness. Let me think of a time or you know, even just being in Costa Rica and going through those experiences I became aware that what we experienced in our life as a part of, you know, it's an experience and the experience is real. I'm a really or came to me the next day after she had that experience and she was asking me. She's like, well, does it have no meaning? Well, of course, it has meaning and it's. It's not that it's not really other than the experience of it is what's real, but we give so much solidity and forum to what we think is real. That sometimes having an experience where our beliefs are shown to us that, hey, this doesn't have to be the way it is, or there's more to life than that. We begin to break apart our own belief system and we'd be hard to see that there's so much more to life. There's so much more. There's always more and the more we go down that rabbit hole of understanding that we don't have to just identify with our senses. The more that we tap into it. Here's the thing though, this is a big paradox, is my third, fourth night there. Whereas in Costa Rica I became very present to the moment I, I did. I had this experience where what I did is I went more within. I was putting all the awareness in my sense, perceptions. I was putting all the awareness inside of my body and by doing that I've started to just say yes to the present moment, like whatever came up. I just say yes to it. If I was laying there and there are people making noise on the other side of the room, I'd let them make noise. If there were a, was a dog barking outside and let the dog bark outside. If there's a song being played, I didn't really care for. I would just observe my thoughts. I said I don't care for that song. And by saying yes to the present moment, I began to feel more present than ever. Even as you listen to me right now, you may hear some silence in between the words. If you listen for the silence, you become more present to the moment. If you just absorb whatever is coming up, what am I going to do after I watch this or listen to this? Just listen to be aware of it, just to absorb it and as you absorb it, you become more present to the moment. The sense perceptions and being is the gateway to that level of, of, of being the sense. Our perceptions are the gateway to being. That's the key is bringing the awareness into the body.